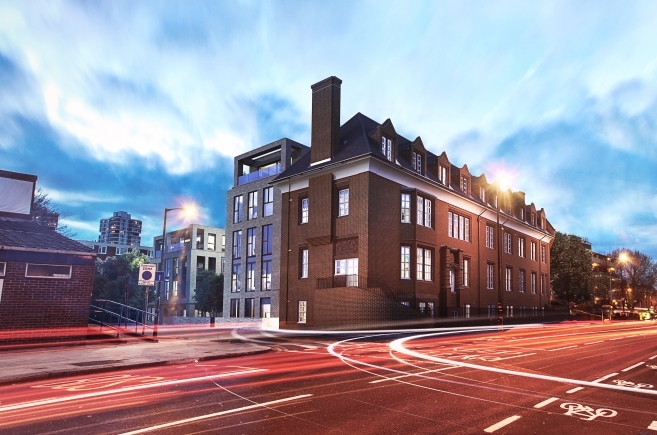 Grafik were appointed to produce construction drawings for this complex site comprising of the refurbishment of the existing Battersea Police station and the erection of a new contemporary building to the rear. 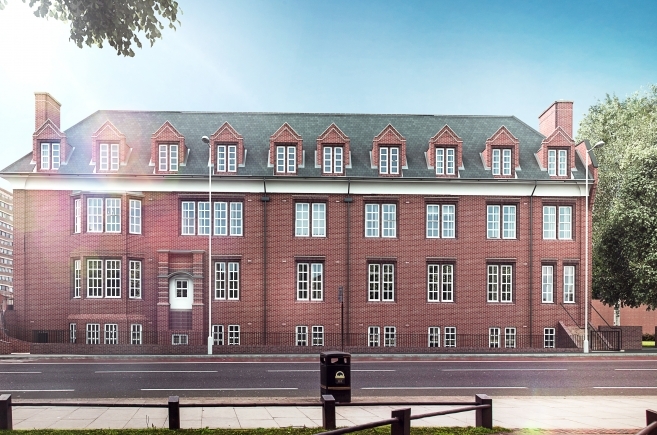 The existing police station produced 14 units and is linked to the new contemporary building via a glass atrium. 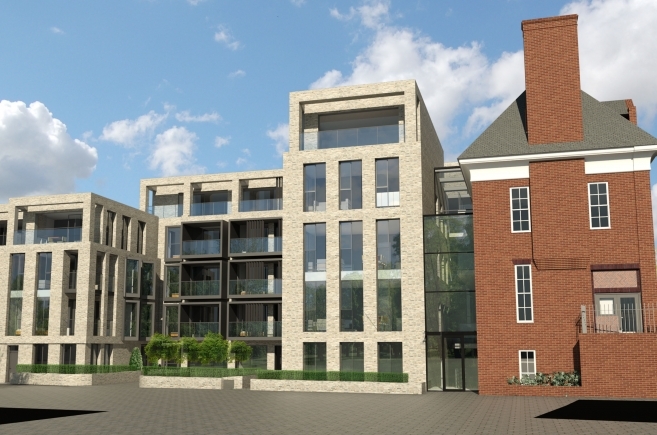 The new building contains 35 units made up of 1, 2 and 3 bed apartments and duplex apartments. 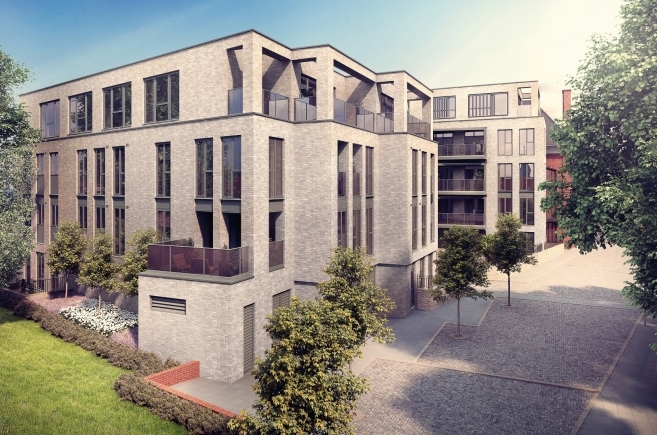 The new build element was constructed from a concrete frame and clad with brickwork to produce a high end crisp finish with a number of full height glazing sections providing a great quality of space to the individual units. The site, like most sites in London, was constrained in terms of construction and it had been challenging to design the site in such a way that the build sequence could be achieved. 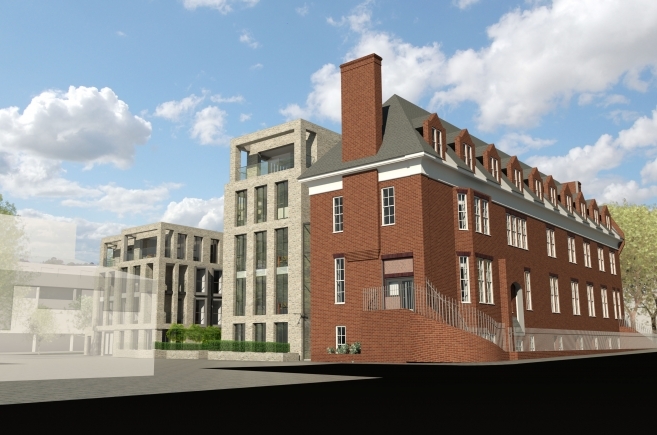 This also included the interaction between the retained structures of the existing old police station and the new build ensuring that the design did not compromise the buildability of either structure. The connecting glass atrium was challenging in achieving the look and maintaining the necessary means of escape to comply with Building Regulations. Due to the sites London location and Code for Sustainable Homes requirements the development incorporated numerous design standards from the London Design Guide and Lifetime Homes as well as dedicated wheelchair designed units. The site was completed in June 2016.